« A 15-Hour Trek to Nashville, our new rental home, and peek into our new kitchen! Those are some amazing prices. Blackberries are $4 on sale for that size container here. I grow my own so that I can have some. Sales are not good here this week, but I imagine we’ll see some deals at the end of the month for Memorial Day. My plan is to keep eating from the garden (we’re picking lettuce every day now, lots of other things) and stock up on some bulk items (popcorn, flour) from Sam’s Club. This month we’ll harvest lettuce, Swiss chard, green onions, turnips, parsley, rosemary, blackberries, peaches, chives, tarragon, oregano, green onions, tomatoes (I picked 4 yesterday), and possibly zucchini. 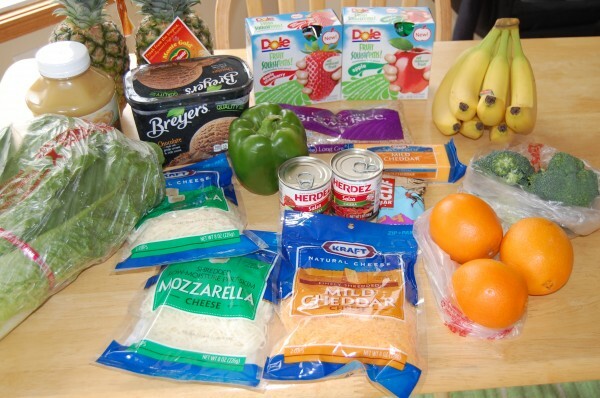 Thank you for showing that you can get healthy food and still save money. I see so many people posting pictures of food they saved tons of money on, but it is all stuff I would never buy- frozen dinners, processed food, candy, etc. I never understood the point of over buying food, just because it was on sale. Wow on the Aldi’s price for milk! I paid $3.34 for 2% milk yesterday. Of course, it’s even higher priced at other stores. I absolutely love Aldi for fresh produce, I stock up on the .99 strawberries and freeze part of them for smoothies. They also have bags of baby spinach for $1.79 a bag. 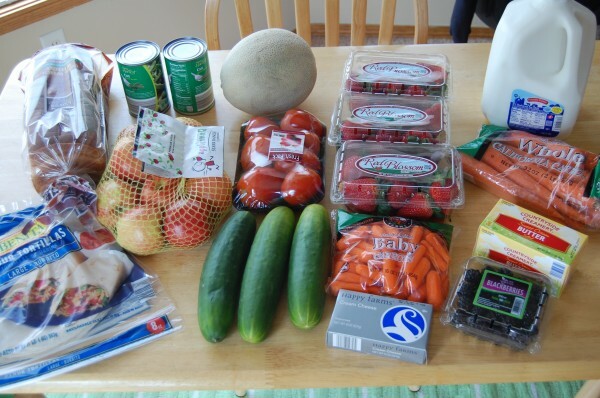 A lot of great produce buys at Aldi, and it keeps really well too. For roasts, throw in some whole carrots (along with vinegar and other seasonings) and remove the carrots at the end of the pot-roasting time. It won’t hurt the mild roasts, and can cut gaminess in the others. Garlic will help take care of the gamey taste in venison too. I am not a venison fan, but am learning to tolerate it. Now my husband just needs to get one (its been a few years). Wow. That’s crazy. In Canada, a 4L of milk costs about $5.00. All those groceries would be about $125.00 and that wouldn’t include any meat for the week.